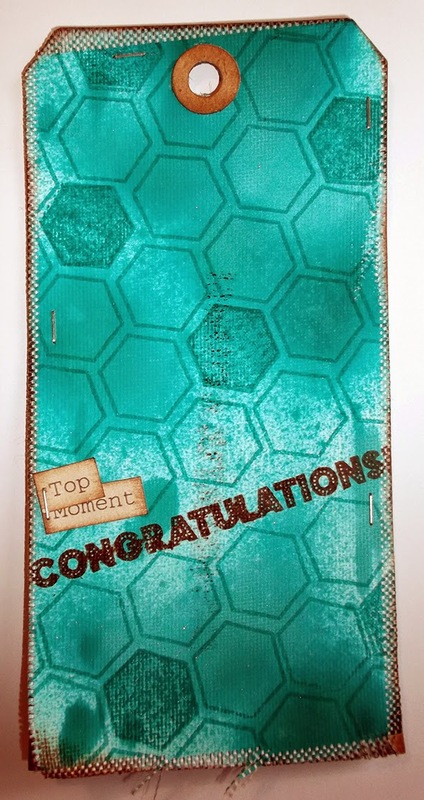 It is Nicole here again with a fun project using a scrap of canvas to make a fun tag using tone on tone stamping. 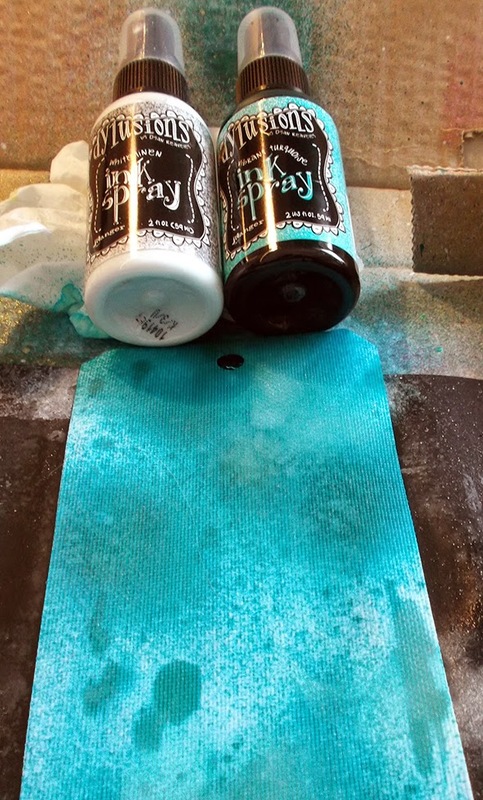 I started with some canvas that is actually designed to be printed on but you could use any type of canvas you have for this step. 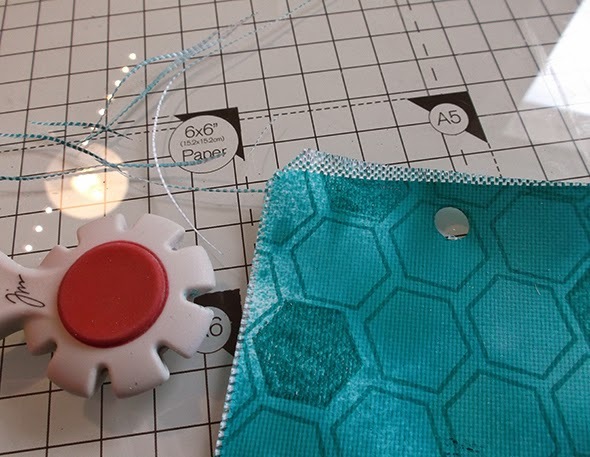 I die cut it into a tag shape but you coould hand cut it too if you don't have a die. 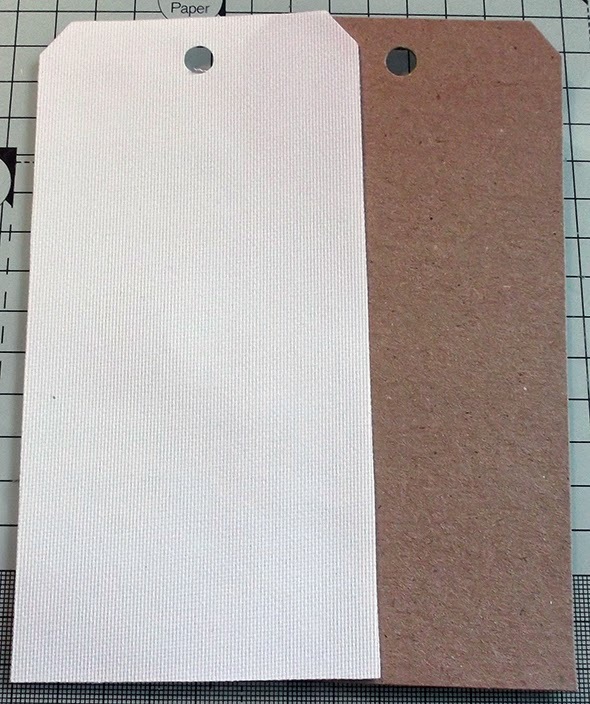 I also cut a kraft tag as you will need something to reinforce the canvas tag. I sprayed the canvas using turquoise mist and added in some white in places to tone it down and give a nice splotchy effect. Make sure to protect your work surface when doing this step! 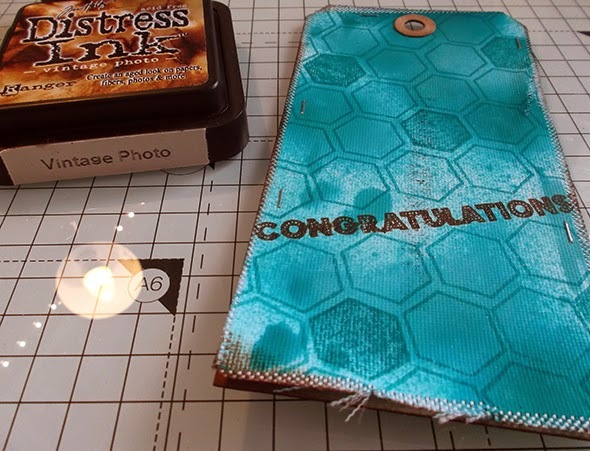 I then took the open hexagon from the Sarah Hurley Tickets and Labels stamp set and stamped in peacock feathers distress ink onto my canvas tag once it was dry. The peacock feathers gives a nice tone on tone effect. I repeat stamped to create a pattern. 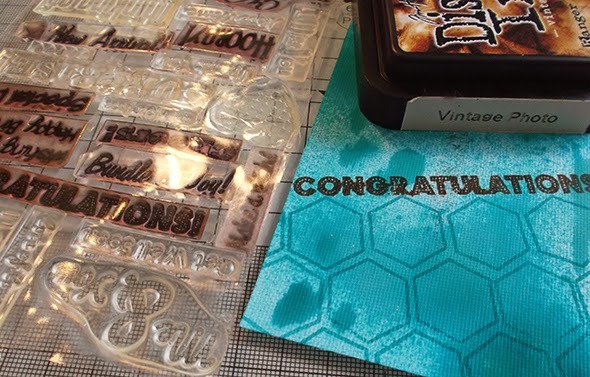 After a few rows I stamped the congratulations from the Sentiments Stamp set in vintage photo distress ink. 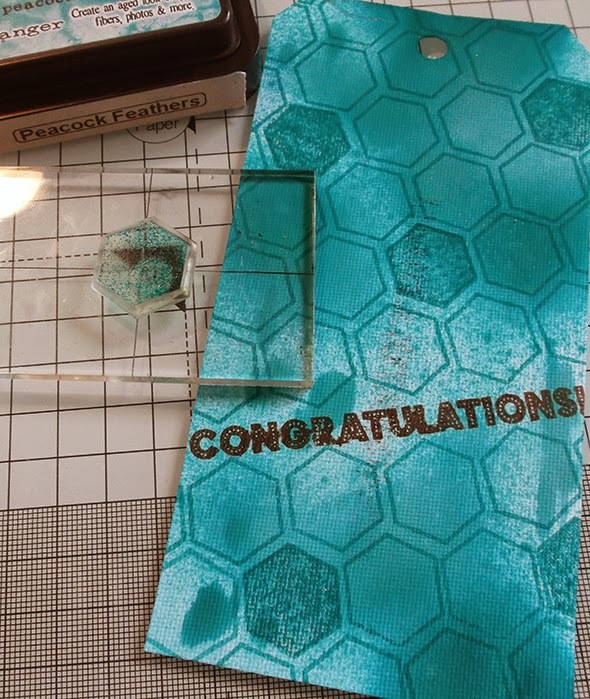 I then kept on stamping the pattern. I then distressed up the edges of the canvas tag. I inked up the edges of the tag and then stapled it to the kraft tag for support.I added a kraft tag reinforcer too. The turquoise colour of peacock feathers is hard to photo true to colour! But you can see the completed tag below, a bit off colour. 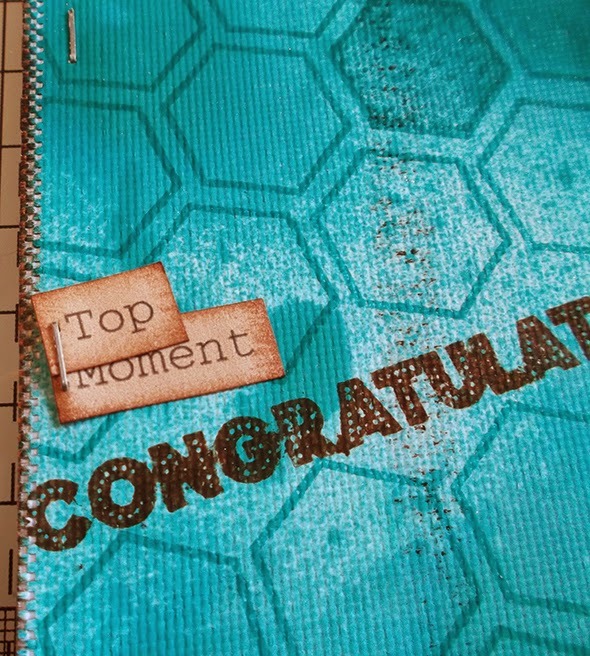 I kept it really simple as I wanted the stamping to really be the focus! I hope you enjoyed and thanks for stopping by today! 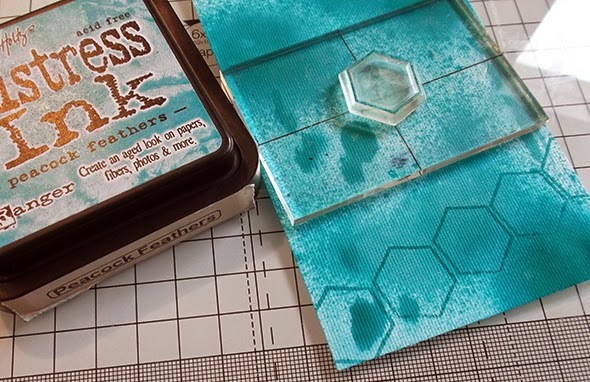 It's fantastic and what patience you have to stamp all those hexagons so neatly. My favourite colour too.